Hager Engineering provides construction engineering services which include civil & structural engineering for today’s fast paced bridge & highway contractors. We specialize in a niche market, providing our contractor clients with cost effective and practical engineering solutions. 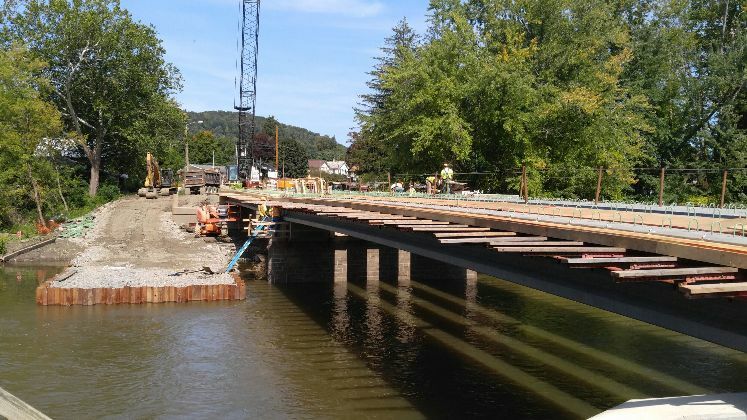 We specialize in all phases of bridge and culvert replacement, including bridge demolition procedures, temporary detour bridge design, cofferdam design, fascia & scaffolding design, beam lifting plans and railroad bridge repairs. Hager also designs personnel tie-off systems for bridge deck construction. No job is to small, give us a call, we’re jacking up & tearing down bridges in New York & Pennsylvania as fast as they’ll let us.